The Z2 improves on the Z1 with a 5.2-inch 1080p LCD display, matching LG's G2. Sony is pushing its Triluminous and X-reality display technologies to say it's better than the competition. 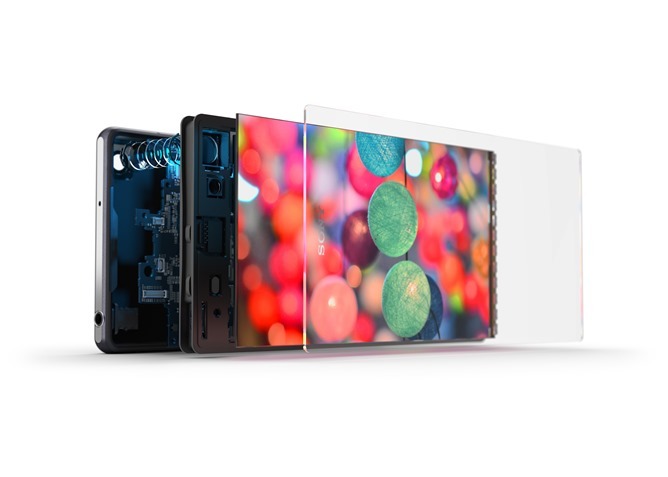 Underneath is the best-in-class Snapdragon 801 processor running at 2.3Ghz. That's paired to a generous 3GB of RAM and a roomy 3200mAh battery. Even with that battery, the phone is an impressively slim 8.2mm, beating out the Z1 by .3 millimeters. Surprisingly there's no mention of storage capacity or MicroSD, but Sony tends to include the latter. We'll check it out on the show floor. As with its predecessor, the camera is the star of the show on the Z2. 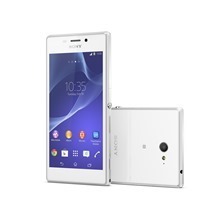 It's got the same 20.7MP sensor as the Z1, paired with an Exmor RS CMOS and Sony's "G" lens. 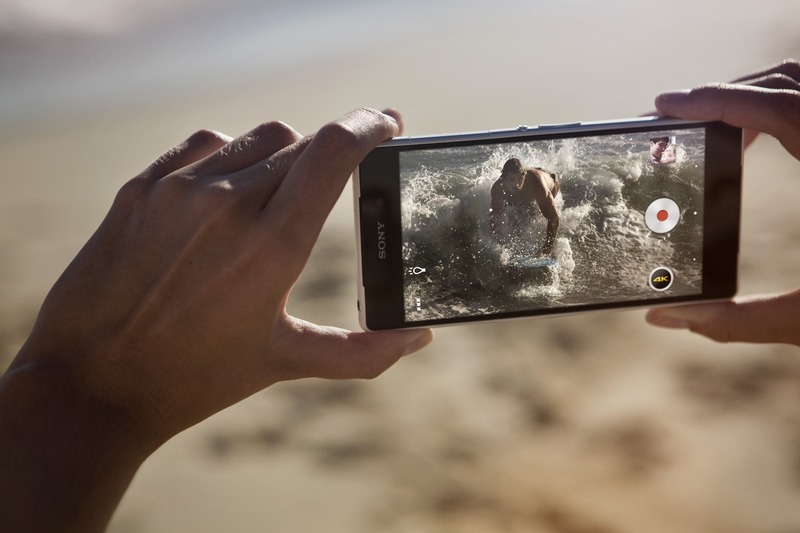 In addition to sharper photos than any Android competitor, the Z2 will record 4K video (30 frames per second) with image stabilization included. The front-facing shooter is 2.2MP - decent, but nothing to write home about. Sony also has an external stereo microphones for recording, sold separately. 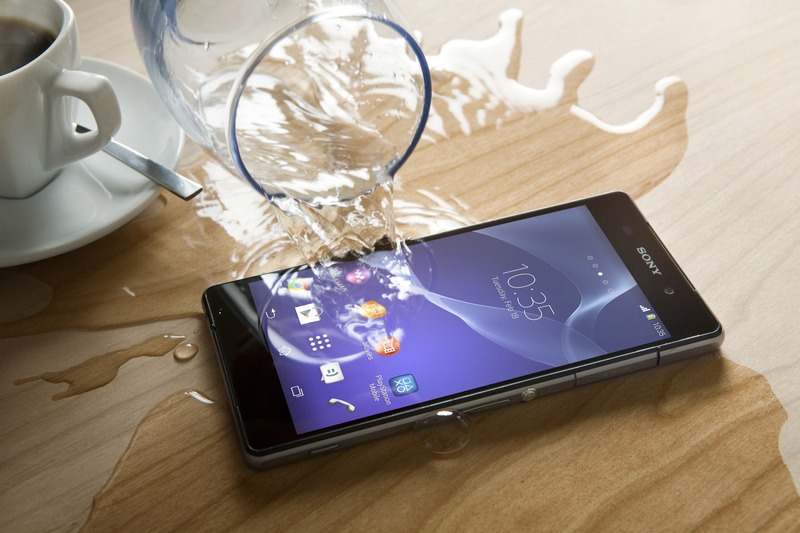 The Xperia Z2 uses Sony's usual body design with a little more taper on the edges and the usual IP55/IP58 waterproof and dustproof features. Sony doesn't say what flavor of Android the phone is running in the press release, but the transparent bars on the home screen indicate Android 4.4. Previous leaks also showed a Sony UI with some heavy updates, including slow-motion video recording, plus Sony's usual suite of entertainment apps. Sony also announced the M2, a mid-range phone intended for a world audience. Its biggest feature is dual SIM card slots (great for globetrotters), but the rest of the hardware is pretty unremarkable. It uses a Snapdragon 400 processor (1.2Ghz, quad-core), 1GB of RAM, 8GB of storage, and an 8MP rear camera. The screen is a crowd-pleasing 4.7 inches, but the 960x540 display is a step below competitors. Software looks like Android 4.4 with Sony's usual additions. The price on this phone will be the biggest deciding factor. 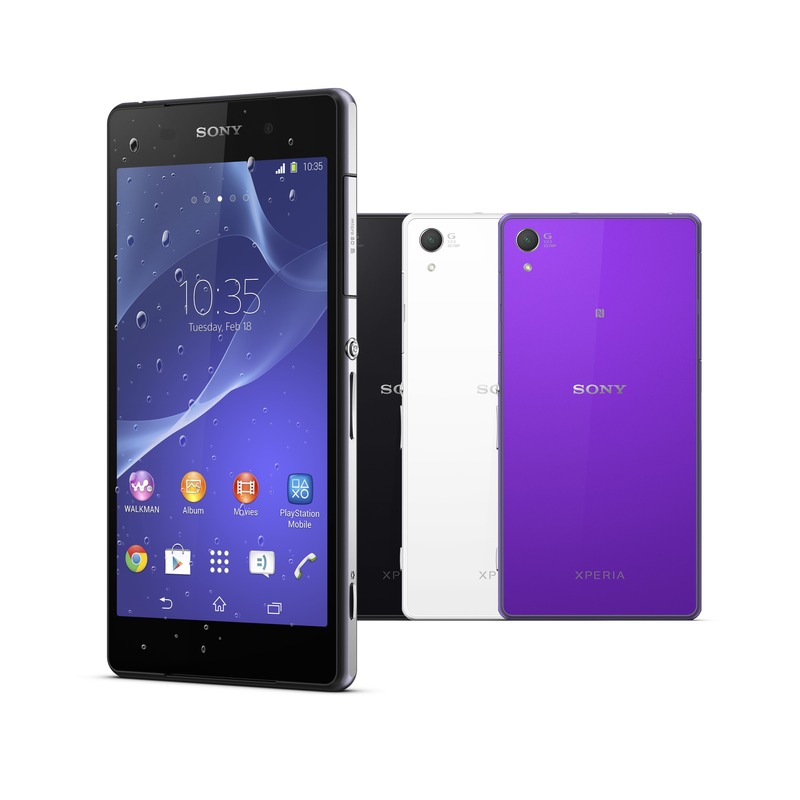 The Xperia Z2 will be available starting in March, and the M2 is coming in April. There's no word on US availability, but Sony generally sells its phones directly in unlocked packages, with a possible carrier option from the likes of AT&T and T-Mobile. In the UK, Vodafone and EE have already announced plans to launch the Z2, and EE will take the M2 as well. Pricing for either device was not announced. 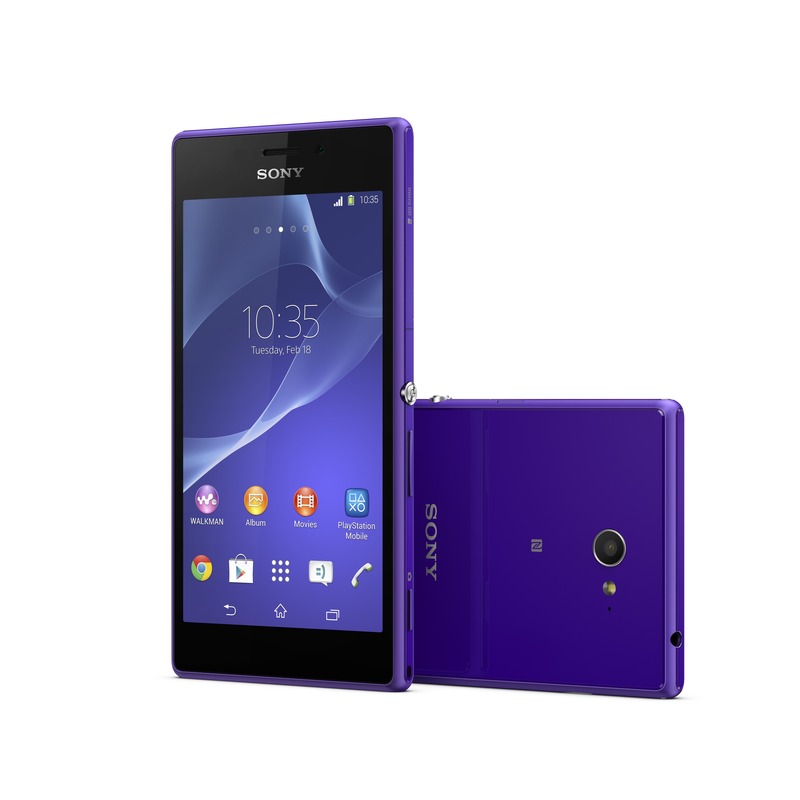 Update: According to XperiaBlog, the Xperia Z2 will cost 599 pounds, or 699 Euros in most of western Europe. That should put it in the same $600-700 range for most flagship phones when it becomes available in the United States.